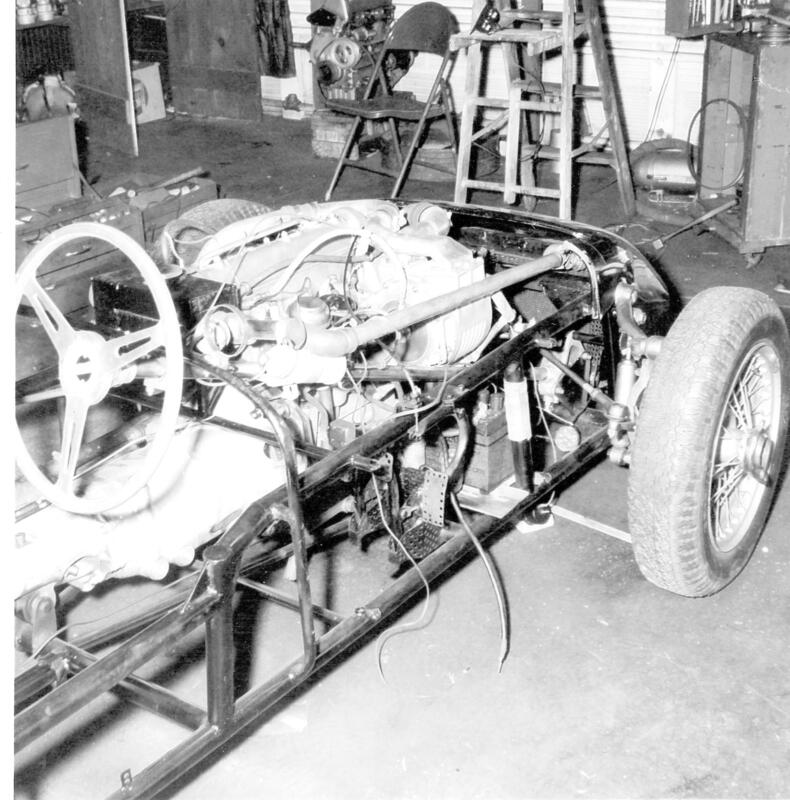 The winter of 1958/59 saw the Jomar team with 2 new supercharged chassis. 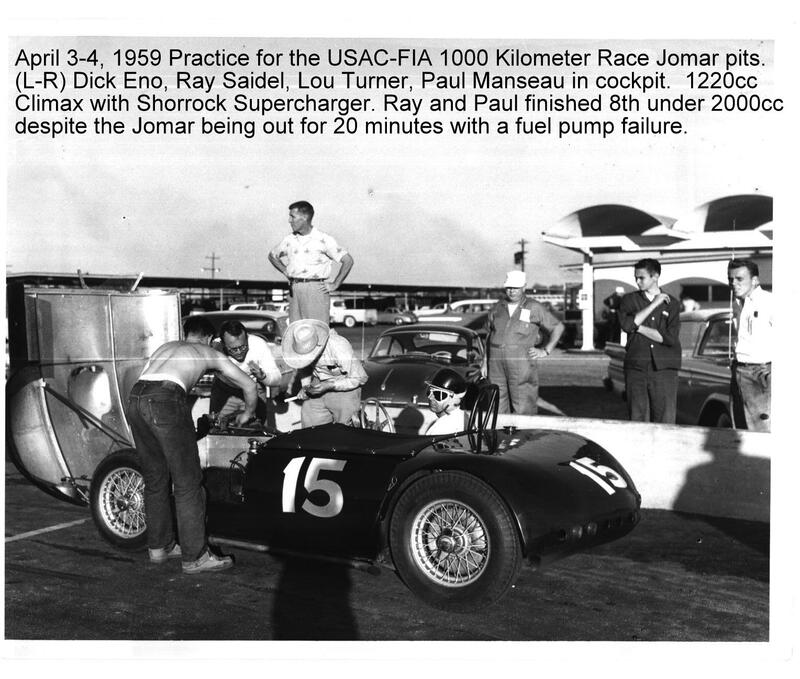 Bernard Williams had convinced Ray Saidel that these chassis powered by 1220 and 1500cc Climax engines supercharged with Shorrock Superchargers would propell the NEW Jomars to sure victory against the competion. Ray Saidel and the Jomar team had no experience with superchargers at all. They soon set to building the alloy body for 7/C-S/113. 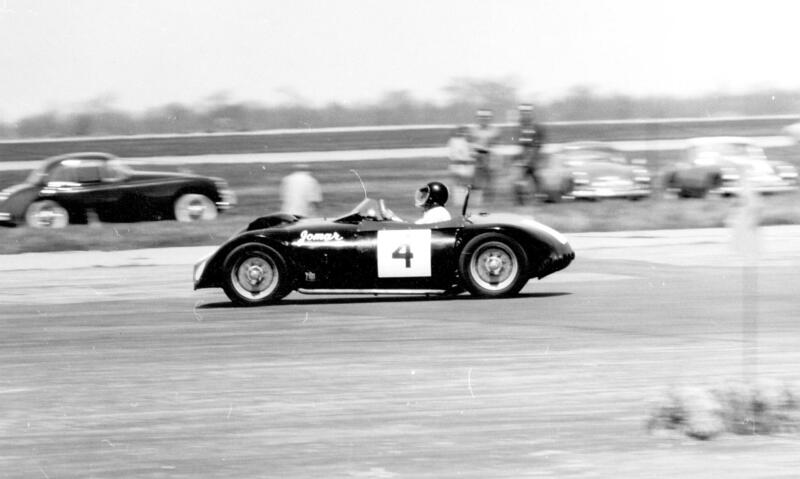 This would later be known as "the Daytona Car" for its participation in the 1959 1000 kilometer race held at the New Daytona Speedway. During the winter Ray also built his own car for the upcoming Formula Junior class coming to the US. 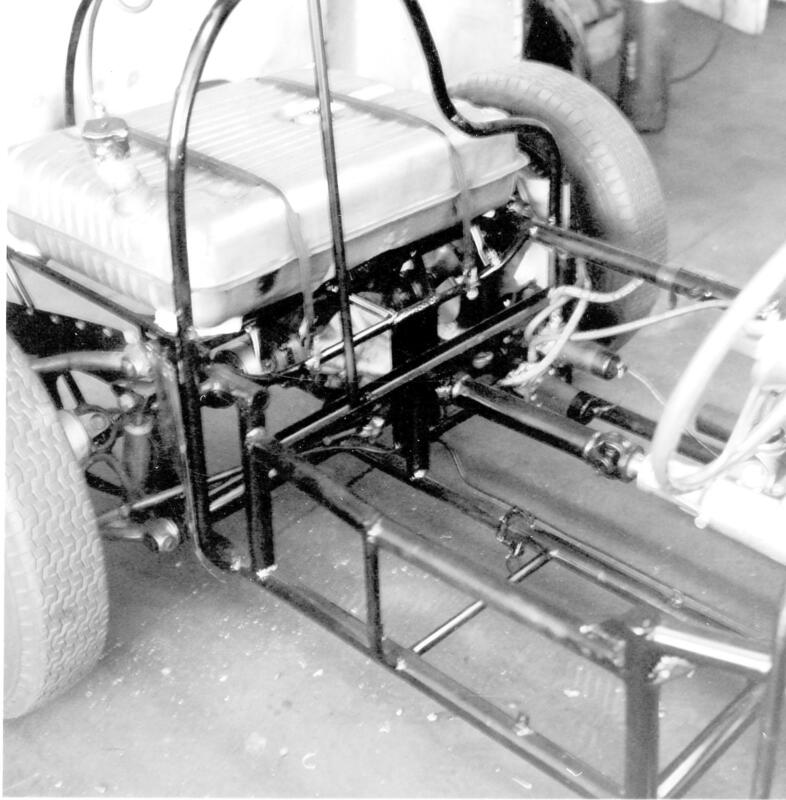 He utilized the front and rear suspension from the TVR design and built is own ladder frame using chrome moly tubing. He also ordered another supercharger from Chris Shorrock to use with another climax motor. 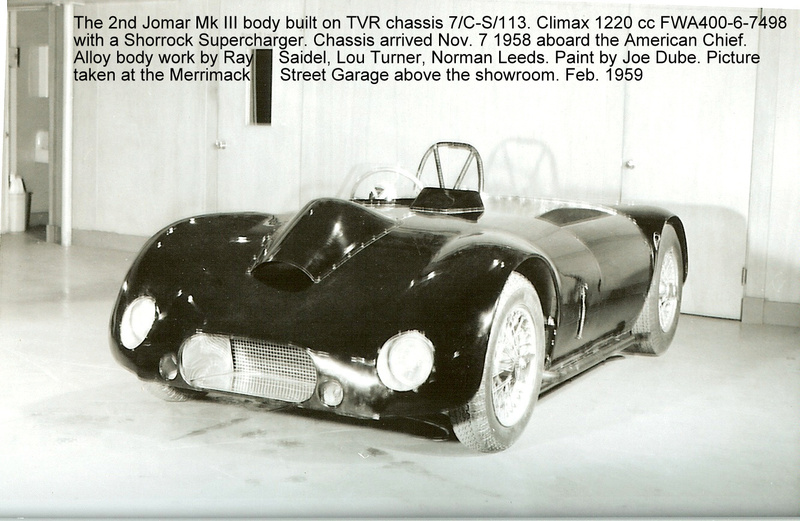 This new Jomar was designated the SSR1 and appeared in Road and Track magazine as well as other periodicals of the time. For several years Bernard Williams has asked Ray Saidel to come to England and join the borad of directors of the project. Finally in May of 1959 Ray heads to England. Below Ray Saidel is taken to a hill climb by Bernard Williams. The meeting with the TVR board of directors partially bothered Ray as many several of the investors had a vison of selling thousands of TVRs per year where we were barely selling a handful to date. Ray returned to Manchester to have an envelope from TVR. It contained the contract he had viewed in England but with several changes. One in particular was to the minimum number of cars that Ray was supposed to take. Ray was insulted and sent a long letter to Bernard severing his ties to the TVR project. 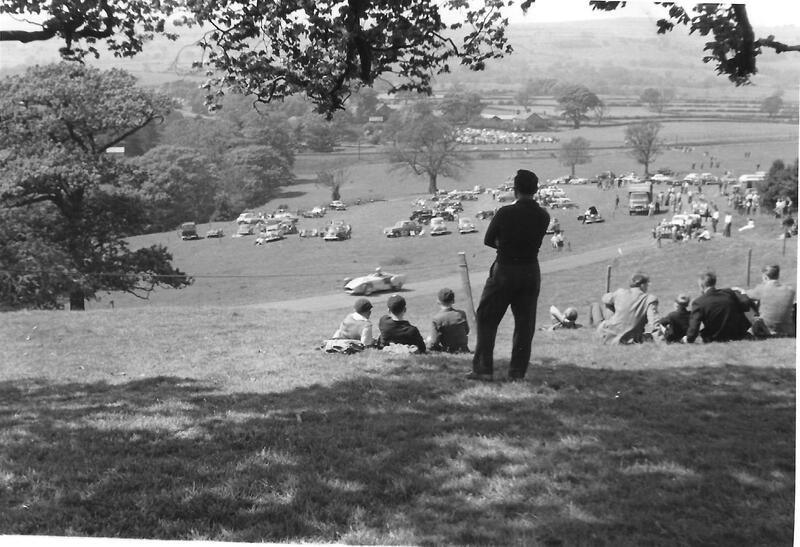 May 9 and 10 1959 Team Jomar is at Harewood, Ontario for the 1st Canadien Professional Road Race. The course was extremely rough and although the Jomar flew, surface vibration caused the failure of a wire tied Solex carb main metering jet. "The car was hard to start and it was a Lemans start. After a minute and a half it started and it flew. In 15 laps I passed 22 cars and was closing on the leaders when the jet fell out of the carb. The car was sick in the corners but air flow and suction forced fuel into the carb and she flew for the straights. Post race tear down showed distructive engine failure caused by a lack of compression vs supercharger knowledge. Ray abandoned the superchargers for Weber carbs once again.